WASHINGTON, Feb. 20, 2019 /PRNewswire/ -- The White House Historical Association has announced the Official 2019 White House Christmas Ornament honoring the presidency of Dwight D. Eisenhower. The helicopter ornament symbolizes Eisenhower's achievement as the first sitting president to fly in a helicopter in 1957, as well as his example of fairness and innovation by combining the two he flew in: Army and Marine Corps aircrafts. The Official 2019 White House Christmas Ornament features the Presidential Seal on one side, representing Eisenhower's two terms as Commander-in-Chief of the Armed Forces. On the other is his five-star rank, honoring his military service as a general in the United States Army. 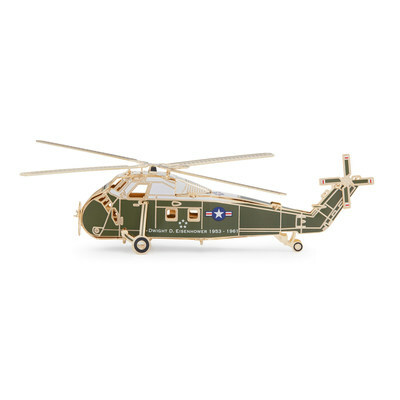 The design of the Official 2019 White House Christmas Ornament box is a rendering of the White House South Lawn, which represents how Eisenhower started the tradition of presidential helicopter transportation directly to and from the South Lawn. "We are proud to recognize President Eisenhower's legacy with this year's Official White House Christmas Ornament," said Stewart D. McLaurin, President of the White House Historical Association. "This ornament commends his impact on our nation's history through his service in the Armed Forces, as well as his leadership as our nation's Commander-in-Chief." 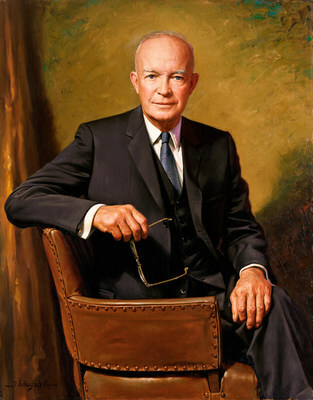 President Eisenhower was a man of fairness and impartiality and had an impressive career both before and during his two-term presidency. His achievements were many; he had strong executive ability and the gift of command, balanced with his calming demeanor to comfort the public. This year, Lockheed Martin became the first ever official supporter of the ornament. 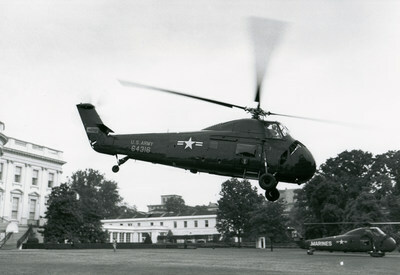 Sikorsky, a Lockheed Martin Company, has built every Presidential helicopter from the Eisenhower administration to the present day. Sikorsky President, Dan Schultz added: "As we develop the next U.S. Presidential helicopter, the VH-92A, the men and women of Lockheed Martin proudly build on our more than six decades of providing safe and secure transport for this no-fail mission. We are honored to celebrate this legacy by supporting this year's White House Christmas Ornament." The 38th Official White House Christmas Ornament is American-made by a veteran-owned company and continues the tradition of honoring U.S. presidents in sequential order. The sale of every Official White House Ornament supports the Association's mission to preserve, protect, and provide public access to the White House and educate the public on its history. The White House History Shop at 1610 H Street NW, Washington D.C. 20006. The White House Visitor Center at 1450 Pennsylvania Ave, NW, Washington, D.C. 20006. The White House Experience App will also include a new presidential transportation tour feature, including a helicopter, to honor President Eisenhower and this year's ornament. These changes will be implemented within the app beginning on February 20. You may download the app here. For more information, please visit our Official 2019 White House Christmas Ornament press collection when the ornament launches on Wednesday, February 20th. Press collections can be found on our press room page.